As you found facts from other articles that human being is God itself but in the custody of the Evil spirit, God is nothing to do with the imaginary Creator but the Life in every things. Victor Christ is a nick name we call to the God who overcome the Evil spirit and become the Savior in the Bible. So origin of the Victor Christ is God. While any other people also have a nick name that we call God who is suffering slavery from the Evil spirit, the Bible call them the Sinners. Therefore God becomes the Savior to save children of God. There can be no other agents like God’s only son -Jesus- being involve to the God’s promise of saving the world. From alpha to omega it should be God. The Bible has mixed words from God and Evil, therefore, you must find those words from God. There has been no such God like the Creator although the Bible has it. The story of creation in the Bible is just a myth for the people of the ignorance. Those stories not from God are from Evil. It was not just because of this man has power to remove Communism. Let’s say this man just have removed the Communism without giving you any notice in prior. Who would believe that It was this man who actually destroyed it, when the collapse of Communism happens in real? So this man cried out over 10 years. “This man will remove the worldwide Communism,” right here in this altar in front of you he said like that, didn’t he? And the Communism collapsed in 1990. So it becomes evidences that this man actually removed it. Gorbachev was believed that he removed the Communism and some of communists leaders arrested Gorbachev. They put him in house confinement for 3 days before they aimed a pistol to shot Gorbachev’s head. At the very moment, this man’s other self came to the place where Gorbachev was confined. The other self came into the room and shouted like thunderclap. Those frightened soviets turned tails and ran away, one of them arrested in the air port, one of them arrested at a railway station and the one who was the minister of internal affairs. He put a capsule of poison into his mouse and bit it to kill himself, so to speak, he made suicide. All three of them were caught. When all three of them ran away from the room, Gorbachev looked around to find nobody before opening the door to get out of 3 days ordeal. The picture has a double rainbow and the Holy Due Spirit above the altar on a very clear day without rain fall. Date stamped 91.8.23 when Gorbachev was set free from the confinement without any forces used by men. The picture has the Holy Due Spirit and double rainbow just above the altar on a very clear day without rain fall. It was 23 August 1991. On the day Gorbachev was released a double rainbow hung just above this altar. The meaning of a double rainbow above this altar is that basically rainbow is a sign, a sign of promise. In the age of Noah when continuous downfalls became terrible flooding, God set a rainbow as a sign of promise that the world would never be destroyed by floods again. The rainbow, you all know the story, don’t you? So the rainbow of promise was hung to promise that the Communism shall never arise on earth again. As a sign of promise the rainbow hung then, do you understand ? It is also the evidence showing that the Victor Christ in Victory Altar actually removed the Communism. Therefore, the power that can remove the idea of communism from people also could be able to remove the spirit of human self from people, does or does not? Yes, It does. Putting the Holy Spirit into people, replace the spirit of human self. Giving them spiritual reborn as God, and that is what Messiah does, isn’t it? Therefore, is this a certain Messiah or uncertain one? It is a certain Messiah, isn’t it? So you must keep firm confidence that it is the certain Messiah. Without any doubt you must step forward with full confidence in eternal life. Then you would born again in God. Does that unmistakably or accidentally? You would born again in the Holy Spirit unmistakably. Human being are children of God. In fact, when we analyse precisely, man is God. Man itself is God. In 1930s, Korean nation was extremely poor and Mr. ChoHeSeung grown in a even poorer tenant farming household before he became a war prisoner during Korean War 1950~1953. He experienced unspeakable pains from famine, war and death. Throughout Mr. Cho’s life, he held strong wishes for Korean people which is the descendants in the direct line of Dan tribe in the bible not to suffer pains from hunger, wars and death. When Victor Christ started this works of revolution in 1981, the crowd tended to doubt on Victor Christ. They needed something like wonders that they could feel and see before they trusted. Therefore, these five great public pledges were not only practices of his long cherished wishes but also proofs of God’s power and authority. Though the Victor Christ was wearing a human shape like us, the world would be able to find the greatness and authorities of the victorious God when they find His plans and warnings are coming true in real. Please take a special note that they are not His predictions but His plans to do or happen. After the Bolshevik revolution in 1917, the communism grew up very fast to make more than a half of the world communist state in 1980’s. The communism is an extremely militant idea with it’s ultimate aim of overthrowing the capitalism by means of bloody wars. U.S.S.R. the Union of Soviet Socialist Republics was the representative country to the communism and U.S.A. Unite State of America was the one to the capitalism. Both countries had put huge efforts on war preparation competitively. They set numerous atomic bombs and weapons of mess-destruction to attack each other. Relations between the two countries had been strained to the breaking point and was following the scenario of the end of the world. It was a miracle of the miracles, however, that the vicious idea collapsed so peacefully in August 1991. But in fact, the idea of communism were destroyed by the power and the authority of Victor Christ before the dissolution of the communist union and countries. You should know that the vicious and strong idea would never destroy by itself. With the advent of our Savior, therefore, the world already have been saved from the scenario of the end of the world, moreover, it is heading for the new world that our ancestors dreamt of. The summer rainly season in Korea is the climatic phenomenon with rather cloudy and a lot of moisture in the air and continued rain over a month from mid-June till mid-July. This period is very important specially for the rice crop to put down roots; For too much water during the period of time, the plant may fail to put down roots but float in the water before it goes bad. Korea was the country where people had have experience of villainous lean years because of this hard summer rainy season over the countries history. But Now there is no more such harsh summer rainy season in Korea where the Savior is. The Korean Peninsular is geographically situated on the route that typhoons tend to pass through. In the time the rice crops are becoming ripe, Typhoons with fearful wind and terrible amount of rain comes to the land to destroy the crops; The rice plants are beaten down by the wind and under water owing to the rain for long; The rice begin to bud after three days in water and the rice become uneatable. Korea was the country where people had have experience of villainous lean years because of this typhoons over the countries history. But Now there is no more typhoons that ruin the crops in Korea where the Savior is. Korea had periodically have a bad year for the rice crop after one or two good. As the proverb goes ‘There is no more bad year after 7 years of short crop’, It seems like there was continuous poor harvest for 7 years. To get a good harvest, It must be safe from the summer rainy season and typhoons. During the summer rainy season between mid-June and mid-July, suitable temperature and amount of water assist significantly the rice plants to put down its roots well so that the plants make more branches and more grains. The period of typhoons blowing most from July till October, the duration of sunshine is a key factor because an abundant supply of sunshine is very important for the rice plants to get ripens. Therefore we cannot expect a good harvest if the summer rainy season take place harshly or typhoons blows without any obstruction over the whole period of time from transplantation of rice seedlings until harvest of the crop. Korea, where the Victor Christ is, has been taking continuous good harvests since 1981. As long as we have a good harvest, we should know that we were protected from the summer rainy season and the typhoons this year as well. The Korean War, which broke out on 25 June 1950 and went for 3 years and a month, yielded 250 millions of death in both parties, 80% of infrastructures, 75% of government building and 50% of houses were destroyed in South Korea. But the Korean Was is not an officially finished disaster but of stop fighting temporarily. The separated countries had involved in the diplomatic war after the ceased fire to take advantage against its counter party in the international organizations. Both countries had put great portion of nation’s budgets into war preparation projects. So scarcely anybody doubted that the military tension in Korean peninsular is a detonator of the world war III. For this reason, He has prepared institutional grids and conditions that prevent Korean from involving in the another Korean war. Now the fear of war has gone and we are living in safe. So we must give thanks to our Savior. The Victory Altar is the welcoming venue where Victor Christ pours out the grace of adding life to us during spiritual sacrificial rites everyday. His Words says God’s intention has been accomplished when God beaten Satan perfectly and became the Victor Christ. 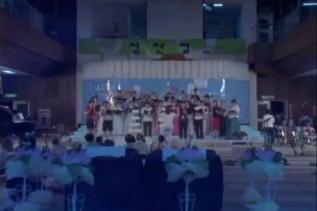 When Mr Cho HeeSeung’s spirit was offered successfully as an offering of God for God by God, Mr Cho HeeSeung became a successful spiritual martyr and God became the Victor Christ who was born again with the Holy Spirit, God. The Victor Christ demolished the Communism to save the world. August 23 1991, The day Victor Christ saved Gorbachev from gun shot dead by the coup planners. A double rainbows and the Holy Due Spirit shows that the hidden protagonist in the destruction of the world communism is at the Victory Altar. The Victor Christ wants to save as many man as possible by converting man into Victor Christ, the victorious God, the righteous, God, Messiah. You have heard absolutely right ! Everyone has to become Victor Christ too. As the nickname Victor Christ, Messiah, Savior are not a special someone but a kind of spiritual status. When the spirit of overcoming Satan owns the life, it is the status of born again in the Holy Spirit and the Holy Due Spirit will with IT as an evidence to tell it’s spiritual status. Everyone become equal, freedom and happy in the world of victorious God. Victory Altar is not the place to bow God/Victor Christ/Whatever, but the place to turn sinners into righteous. His Words says only God is able to live in the Kingdom of God and there is no social positions in God’s world such as common people, officials, ministers, kings and queens, etc. Neither is special relationships with God such as sons, daughters, friends, fathers, mothers, etc. The Kingdom of God is the world of God nothing else. Therefore, saving the world means converting man – the God suffering from the power of Evil – into Victor Christ, the God overcoming it. The Victor Christ established Victory Altar to save the world in SoSa( ) KyungKeeDo Korea. The first letter So( ) means ‘white’, the last letter Sa( ) means ‘small stone’ ‘sands’. As a small stone is also a stone, a ‘white small stone’ is the same ‘white stone’. Therefore, the Victor Christ was given a ‘white stone’ and announced the name written on the ‘white stone’ was SoSa ( ). Now the voice of salvation is flowing like a life giving water from Victory Altar which is sitting on the land of sands – the symbolic desert = white small stone = white stone – toward entire God’s offspring including you. Victor Christ has only one goal: the goal of converting man into God. When human being become God, the entire universe will become God, too. As spirit and body are the same being which is based on the same power of life, spiritual born again converts man into God. Current spiritual ownership of man is with in fact Satan that commits sins to lead the life to death. The victorious spirit of Victor Christ has won over the spirit of Satan, we can say that from the Holy Due Spirit is with the Victor Christ as Bible says. Fake religions have made God nothing throughout their worldly behaviors over times. That happens due to they have been misusing the name of God for their own business. The fakes are teaching wrong knowledge over bible, god, savior, heaven, sins, eternal life, salvation, etc. However the real God is the life in people around you. As the results of the fakes, people can’t see the real God and are creating all sorts of problems like wars/shooting/bombing/etc. But the world of the fakes could not stay for long, as true Christ has come. You should see God right in the right knowledge from Victor Altar. The eternal life we are talking about here means living forever without die. This is obviously different concept from one in well-known existing religions whose people believe the dead men’s soul live forever. When we are emphasizing the eternal life in such way in the universe of limitation, it must be supported by enough evidences in reasonable logic. }Summarizing our theory of eternal life in a single sentence, due to the being of human deeply possesses the element of death, man cannot avoid it, so man must become something-else after taking away every aspects as a human being. Then, what is the men? Could it be a result of evolution from an amoeba over times? Could it be an earthen creature of God? In fact, all studies and religions are the frames based on such hypothesis. As they are unclear or rather false, no one throughout human history was able to speak these fundamental issues definitely, and more, there was no way to know how to get rid of the element of death. 18 In man’s heart, it rises instinctively that want or pursuit of eternal and longing for the happiness. The reason why this instincts rises is that inside man, there flows blood that comes from our ancestors who had lived such life forever. Our hypothesis to the same questions is following: The body of God was broken into pieces possessing both positive and negative attributes to form the universe when it was defeated by the spirit of division. Specially the core of it became the human race. What is a man? Man is the God who is living own Life as a servant of Evil and dying from the obedience. What is the element of death? The controlling spirit of human being is the element of death. At the same time, it is the essence of the sins, the root of desires and the ego. What is the element of eternal life? If there were no element of eternal life inside human being, it would be impossible. Though it is in powerless status under the rulings of the god of death. God which is the god of eternal life resides in human being is the answer. Yes, God itself is the element of eternal life. How to remove the element of death? Throughout practical stages, stay away from human mind, while take God’s mind. Namely, the road to the eternal life is the road through which your mind goes. You would not follow human mind but would take God’s mind. Not to follow human mind, you should take your mind in the other way against how you usually do, regarding everybody as yourself. To take God’s mind, your life would be self-sacrificing, in full of hope for the eternal life, next, in strong confidence of it, then, entrust everything(body, mind and life) in charge of God. 3 Therefore, trash away the man’s heart and fill it with God’s heart. Only doing so, you would get the salvation. Unless one become to God, there is not salvation. Man supposed to die without fail. It is called ‘the principle of blood’ that blood changes as a consequence of mind then body changes in accordance with the blood. When you possess God’s mind, your blood changes into God’s blood then your body changes into God’s body. At the end, the son of God unclothes the element of death and is able to born again becoming the something-else. This is the most advanced science and also the true religion. The something-else is being called by many different names in different religions such as Messiah, Savior, Christ, God, Allah, Buddha, Maitreya, JungDoRyung, etc. Believing in God(or whatever) can NOT give you salvation nor eternal life. However, you must learn to know Victor Christ’s words before practicing it in real life to stay away from human nature but put on God’s. Because both salvation and eternal life are His, man must become the something-else(God) without exception. This motion picture was taken by a 16mm movie film camera at its lowest speed. 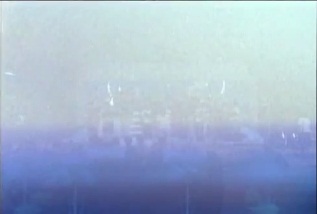 Then each frame was recorded lasting one second per each on a VHS tape for us to see easily. The collection shows only those frames including The Holy Due Spirit. 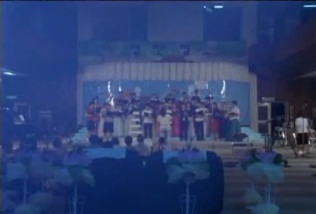 The scene holding the flying Holy Due Spirit is the very beginning part of the filming. 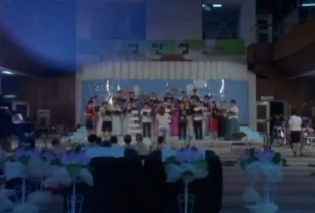 On SeongThanJeol morning I set a tripod and fed a film cartridge to the 16mm movie camera before giving a test shot for a few seconds when people from Busan altar had their rehearsal for celebrating the festive day. 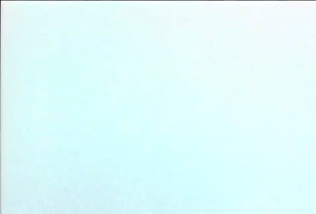 The light blue blurry object that comes just after test card is the Holy Due Spirit. It was around the camera covering wide area before started to move and disappeared at top left corner in the frame. These movement was taken in several continuous frames in a roll of film. Rest of it is the collection of frames that picked up the Holy Due Spirit during the service and part 2 of 2 events on the same day. Without using flash light the photograph are seem to be a bit blurry. 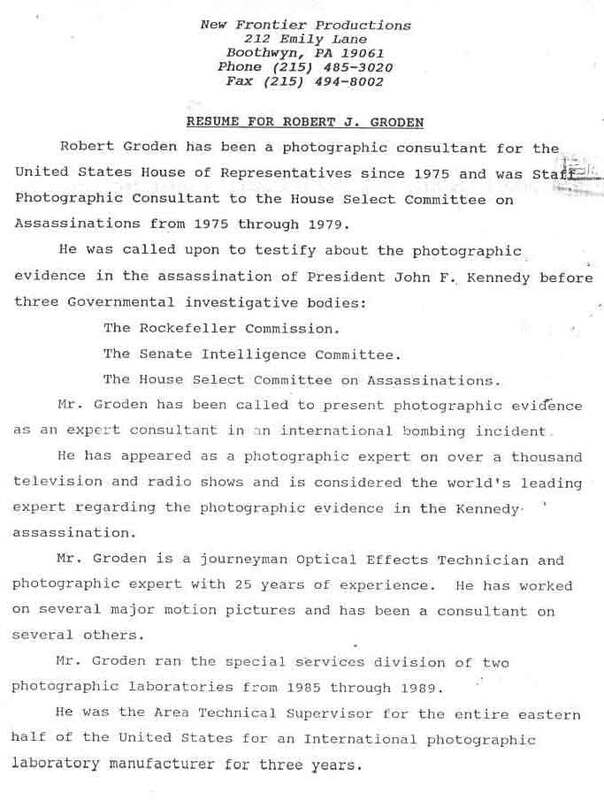 Robert Groden has been a photographic consultant for the United States House of Representative since 1975 and was Staff Photographic Consultant to the House Select Committee on Assassinations from 1975 through 1979. The House Select Committee on Assassinations. Mr. Groden has been called to present photographic evidence as an expert consultant in an international bombing incident. He has appeared as a photographic expert on over a thousand television and radio shows and is considered the world’s leading expert regarding the photographic evidence in the Kennedy assassination. Mr. Groden is a journeyman Optical Effects Technician and photographic expert with 25 years of experience. He has worked on several major motion pictures and has been a consultant on several others. 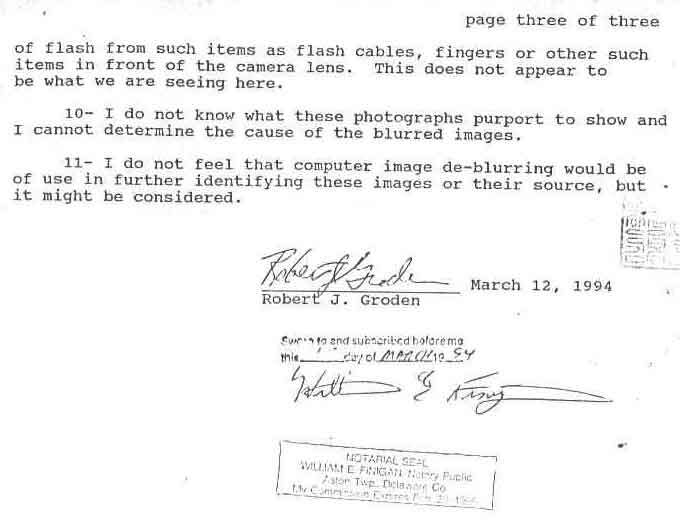 Mr. Groden ran the special services division of two photographic laboratories from 1985 through 1989. He was the Area Technical Supervisor for the entire eastern half of the United States for an International photographic laboratory manufacturer for three years. 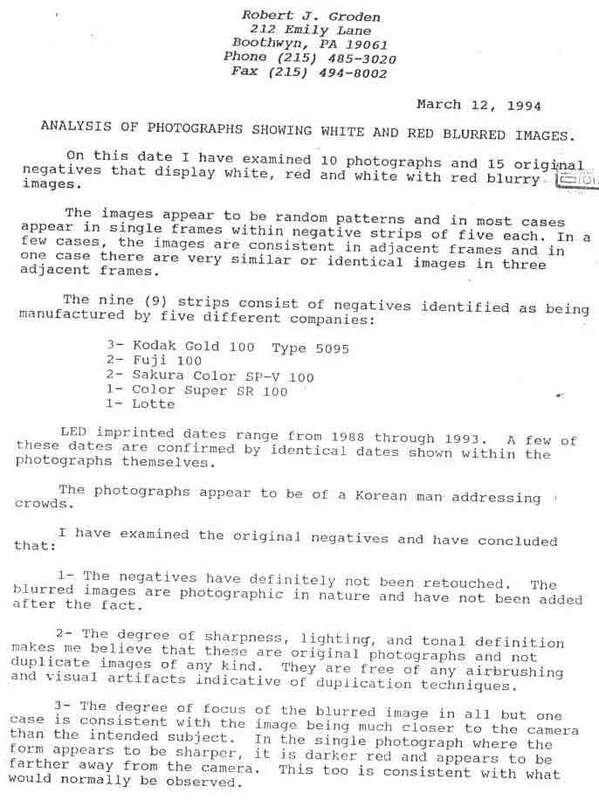 ANALYSIS OF PHOTOGRAPHS SHOWING WHITE AND RED BLURRED IMAGES. The set of photographs that we provided Mr. Groden for this analysis. On this date I have examined 10 photographs and 15 original negatives that display white, red and white with red blurry images. The images appear to be random patterns and in most cases appear in single frames within negative strips of five each. In a few cases, the images are consistent in adjacent frames and in one case there are very similar or identical images in three adjacent frames. LED imprinted dates range from 1988 through 1993. A few of these dates are confirmed by identical dates shown within the photographs themselves. 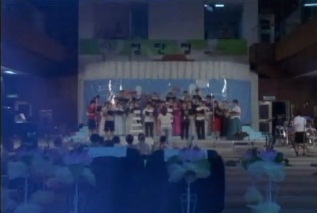 The photographs appear to be of a Korean man addressing crowds. 1 – The negatives have definitely not been retouched. The blurred images are photographic in nature and have not been added after the fact. 2 – The degree of sharpness, lighting, and tonal definition makes me believe that these are original photographs and not duplicate images of any kind. They are free of any airbrushing and visual artifacts indicative of duplication techniques. 3 – The degree of focus of the blurred imange in all but one case is consistent with the image being much closer to the camera than appears to be sharper, it is darker red and appears to be farther away from the camera. This too is consistent with what would normally be observed. 4 – The blurred images appear to be totally random in nearly all of the negatives. However in one set of three adjacent frames in which the photographer has apparently not moved but is panning the audience from right to left, the image and its position within the frame, remain virtually unchanged on the negative as if the image were following the panning of the camera. 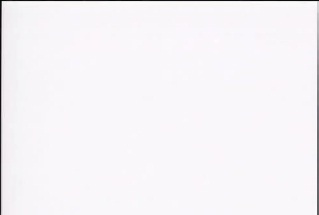 5 – In a few of the frames, the image appears to by cyclic as if starting and stopping repeatedly at a very rapid pace within the pattern of movement. 6 – At no time is the image identifiable as a particular shape, i.e. human, and there are in no cases any features. 7 – In some cases the shape is almost transparent and the camera sees through it. In other cases it appears almost opaque and the brightness masks the subject of the photographs to the point of virtually eliminating the subject within the photograph. 1 – The negatives themselves are genuine. 2 – The prints appear to be consistent with the negatives. 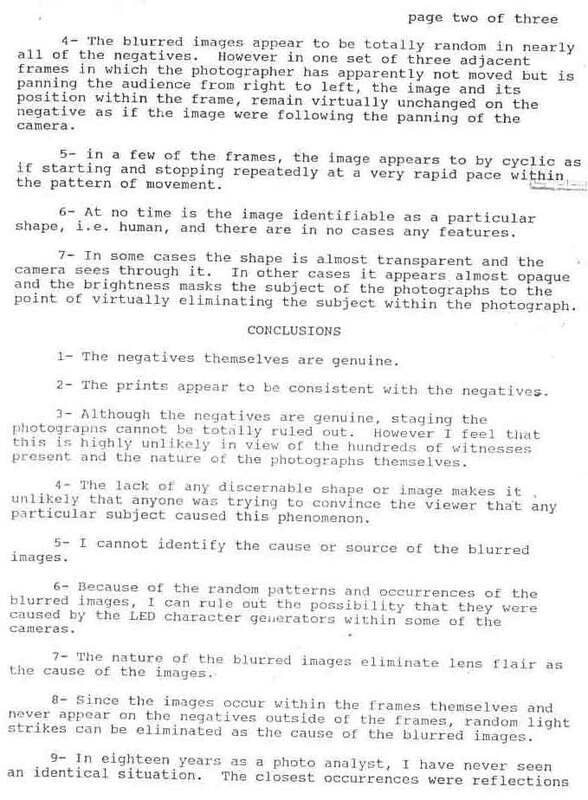 3 – Although the negatives are genuine, staging the photographs cannot be totally ruled out. However I feel that this is highly unlikely in view of the hundreds of witnesses present and the nature of the photographs themselves. 4 – The lack of any discernable shape or image makes it unlikely that anyone was trying to convinse the viewer that any particullar subject caused this phenomenon. 5 – I cannot identify the cause or source of the blurred images. 6 – Because of the random patterns an occurrences of the blurred images, I can rule out the possibility that they were caused by the LED character generators within some of the cameras. 7 – The nature of the blurred images eliminate lens flair as the cause of the images. 8 – Since the images occur within the frames themselves and never appear on the negatives outside of the frames, random light strikes can be eliminated as the cause of the blurred images. 9 – In eighteen years as a photo analyst, I have never seen an identical situation. The closest occurrences were reflections of flash from such items as flash cables, fingers or other such items in front of the camera lens. This does not appear to be what we are seeing here. 10 – I do not know what these photographs purport to show and I cannot determine the cause of the blurred images. 11 – I do not feel that computer image de-blurring would be of use in further identifying these images or their source, but it might be considered. The Holy Dew Spirit is the Victor Christ’s actual body and spirit. When a sinner become a spiritually born-again perfectly with God’s spirit, it’s body is no longer in physical form like ours today, but it will be in light form like you see in the photos. The bright supernatural object taken in the photos is what has been called as the unidentified flying object(UFO) to some people, and it moves freely through the space in no time. This means it is able to move infinite times faster than sun light, and that means it is the immortal. The Holy Due Spirit is one of the most important evidences of Messiah, the Victor Christ, based on the Holy Bible. Apparently it looks like a pillar of smoke or blood of fire or a cloud in the heaven. It feel like Mr ChoHeSeung- a medium for the Victor Christ- is standing on the clouds in some photos. You might doubt the authenticity of the photos, but we are introducing the truthful existence that is never ever generated by any types of manipulation techniques. Please refer the photo analysis report from one of world renowned photographic analyst Robert J Groden and a video clip that caught the flying object with a continuous movie film. Rare man can see the fast moving object with naked eyes, but film-taking analog cameras are able to catch the supernatural existence. There is no report of the Holy Due Spirit taken by digital cameras yet. As the digital cameras are taking less range of frequency band than the analog cameras do, they just miss it similar to our naked eyes do, I reckon. His Words says the Holy Due Spirit shell be poured over whom tunes his/her spiritual frequency with that of the Victor Christ regardless of physical locations. The Holy Due Spirit is free from limitations. It is free from time space and body. It is able to fly across the whole universe, to fill the space with its body and to stand on tip of a needle. This is the outcome and the truthful evidence for the victorious Being in the battle against the sins and the power of death. The spiritual tuning means fill up your mind with those of the Victor Christ. Our experiences might be different from one by one. However, when it comes, it comes with very refreshing smells of flower like a lily or something. Cannot see anything but the Victor Christ such as sitting inside a very thick clouds watching Him through a little window. Feeling like everything has been stopped except listening to Him. Feel warm, sometimes cool. There are numerous cases of helling experiences,too. It is said to breathe in the Life, there is no disease incurable with the Holy Due Spirit, as it is the Spirit of Life Giving on which the world will live. The Victor Christ is the God who won victory in the spiritual fighting against the Devil. When two people were making confession at the lower platform, like a pillar of smoke was The Holy Due Spirit. As the Life itself, God resides in all things. God Itself became the Victor Christ after defeating the Evil which is man’s self-consciousness on 15th October 1980. Since Victor Christ, the true Road, the true Truth, the true Life came on earth, we at last were able to access vital information over gods world such as their identity, whereabouts, character, etc. Victor Christ is the very Savior whom we are waiting for over all human history regardless different races, religions, generations etc. Over a lifelong battles fighting against himself, one man’s self-consciousness was offered perfectly as a sacrifice of God for God by God. It is the true martyr, as it is the spiritual happening. Once the Victor Christ comes, the world will belong to God’s possession which is the Heaven. This means the current world is not belong to God’s possessions but Devil’s. As the Bible ends up mentioning God’s victory over Satan which has the ruling power on earth, the world will see the end of the Satan’s world soon. The Beginning of God’s world is the End of the World. We cannot tell someone a Victor Christ without sufficient evidences. Religious texts have a list of evidences which the true Savior comes with. Beside the mirabilias, however, The True Savior as a leader should bring something to shine the world and wake them. Let them realize and enlighten, so that they are able to make actions for The New World.